Stefan Rzadzinski is a professional race car driver for some time and well known by Edmonton’s racing fans. One thing that all licensed drivers want and need is a race car to drive, or as most say, this is one business in which you need a ride. Due to the financial outlay, unless a driver is filthy rich, he needs to find a car owner or car-owning company that wishes to put him behind the wheel. Multimillion-dollar car owners are only interested in a driver that can win the race, and for some, that call from Roger Penske is still a dream. For Rzadzinksi it is a quest, almost a never-ending one in which he has to prove himself, and now finally he has a new ride, with an international electric car. The nine-race series takes place in New York, Berlin, Monaco, Paris, Mexico City, China, Saudi Arabia, Hong Kong, Paris, Rome and Monaco. These races are all taking place in the city centres, and the road races are pretty exciting. Signing with the team that won the world championship of Formula E is as exciting as it gets. 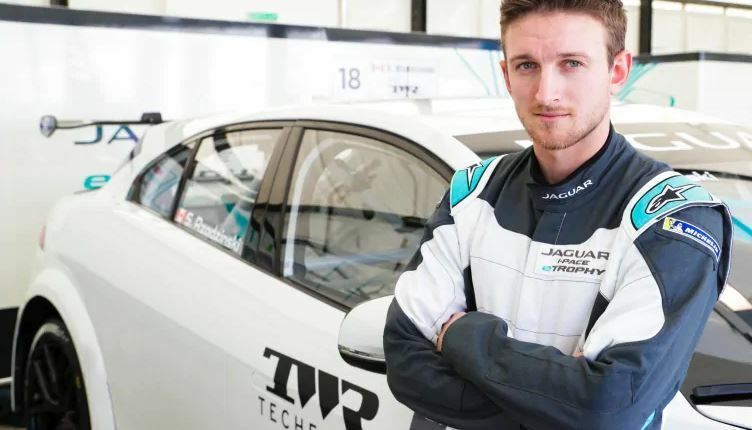 The Jaguar I-Pace E-Trophy, according to Rzadzinski, is the first ever electric car series. It is the support series tied with Formula E-racing, and he already had a ride in the electric car in the Edmonton Indy. Katherine Legge also raced for the Indy 500 team owned by legend Bobby Rahal in the Edmonton Indy. This whole series is becoming, and with the lack of noise, it is a great race to take to the downtown streets in big cities around the globe. Rzadzinski’s goal is to improve as a racing driver and to finally get an opportunity to partake in the Formula E series; his career was well on track until the Edmonton Indy ended. What put a wrench in trying to succeed was losing a race. This also caused sponsorships to run low, which made finding rides much more challenging. As Rzadzinski put it, it is the hardest part. Ever since he was racing in other lower-profile racing events and then raced Pro Mazda, this took place across three seasons. He ran mostly in Ontario and Quebec in the Nissan Micra Cup. In 2014, he won the Montreal Grand Prix and got voted into the 2017 Race of Champions. Rzadzinski cannot praise Edmonton enough for the support he received. It opened doors to him, enabling him to partake in the races in Korea for the rest of that season. Last year he raced at both the Montreal Grand Prix and Toronto Indy in a Porsche 911 GT13. What happened was that he enjoyed quite a pretty exciting year. His goal remains to be able to partake in world championships; it’s a long-term dream. To achieve it, he describes himself as the kind of racer that would race anything and everything to fulfil his goal. He feels confident that he would be on his way soon due to significant investments.